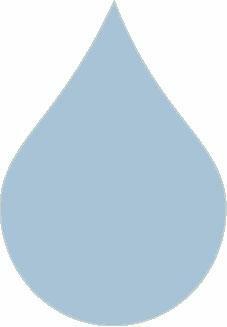 The following archived articles are from a series I began a while back entitled "Blog Tips for Rain Drips" and were designed to provide needed instruction in the finer points of blogging/social media, and to help our members derive the most benefits/value from their involvement here on ActiveRain. "Rants, Rights, and Reputations - Lessons in Online Behavior"
"Embracing Change in the Rain"
"Jing adds Bling to Your Digital Conversations"
"Roost Media Toolkit for Facebook"
"Conquesting Creative Constipation" or "Overcoming Blogger's Block"
"Social Media Sushi - Developing a Social Media Strategy, Part IV"
"Taking AIM - Developing a Social Media Strategy Part III"
"The 'Why' of Social Media - Developing a Social Media Strategy Part II"
"New Series: Developing a Social Media Strategy"
"Hello? McFly! It's called 'Social' Media for a Reason!" 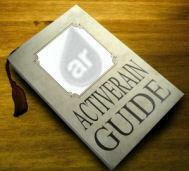 "Learning the Balancing Act of Social Media"
"Don't Waste Your Time on ActiveRain!" "Overwhelmed by the Technology Learning Curve?" "Taking the Hype out of Hyper-Local Blogging"
"When I Search My Name, Nothing Comes Up!" "Would You like a Side of SPAM with those Comments?" "How to Balance Your Blog"
"When in Doubt, Read the Instructions!" "Rain-Vitations: Your Ticket to a Higher Score"
"Bring Back that Loving Feeling: Building Community"
"Forgive me, Father, it's been 3 weeks since my last blog post!" "Is Your Blog a Brick Wall?" "When is Your Blog like a Toxic Waste Dump?" "The 3 Powerful 'P's' of Posting"
"What is Comment Junk Mail SPAM?" "How to Sabotage Your Own Blog"
"But I did stay at a Holiday Inn Express"
"Roxanne, Glamor Shots, and Casper the Ghost"
"Is it possible to be TOO Transparent?" "What is a Straffing Run Blogger?" "Playing Fair in the Blogging SandBox"
"Are You Feeling a 'Draft' in Here?"